Clear your diaries and get ready for the 10th birthday of Small Charity Week: 17th – 22nd June 2019! Along with partners across the UK, we’ll be celebrating the amazing work small charities do through six days packed with events and support. 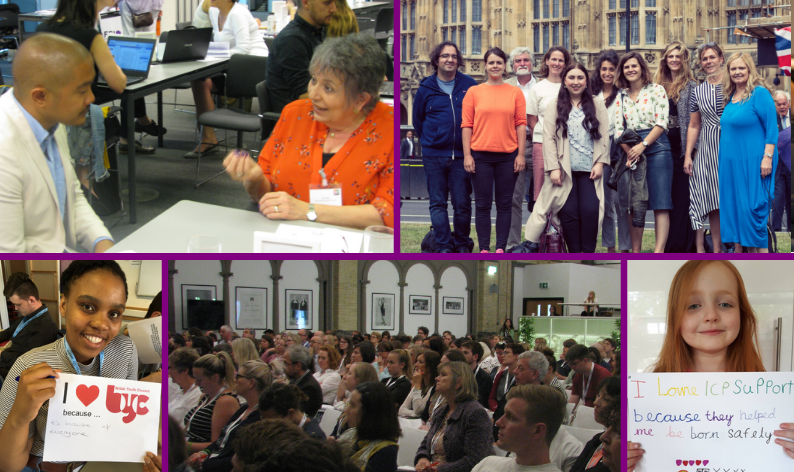 We’ll be bringing back your favourites including I Love Small Charities Day, Big Advice Day, Policy Day, the FSI Fundraising Conference and the Small Charity Big Impact Awards. We invite as many small charities as possible to get involved! Watch this space for more information and follow @scweek2019 for breaking updates. Win an award to showcase the fantastic impact your charity has – applications are now open for the Small Charity Big Impact Awards. Enter now and be in with the chance of winning a 5 minute video all about your charity, as well as an invitation to the exclusive prize ceremony! Check out some examples of 2018 winner videos to see what you could win. Share your fundraising expertise with small charities – applications are open to speak at our Fundraising Conference until 6th February. Got a specialism or expertise in a charity subject? Submit an expression of interest to become an advisor for Big Advice Day. Small charities looking to receive advice? Sign-ups will be released soon! Ask your local CVS or local authority to get involved and bring the Week around the country – send them a link to smallcharityweek.com and ask them to get in touch about becoming a partner. Grab your Press Pack and Social Media Support Pack for ideas on how to spread the word about the week. Register your Small Charity Week events on our website so we can help promote them. Get other charities involved by following and sharing on Facebook and Twitter!